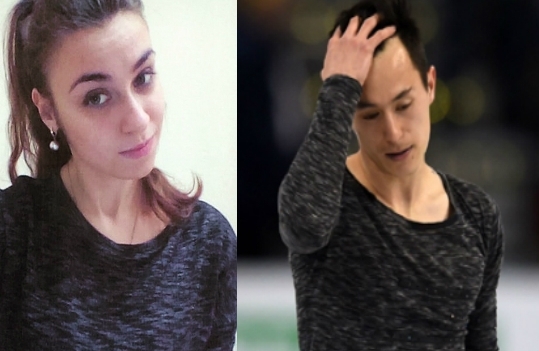 Let’s see who was the most stylish in the free program. I can already see some Japanese fans under my windows, holding their posters “You understand nothing in beautiful costumes!”. :) Ah, we definitely have a completely different tastes and different vision of figure skating fashion. Yuzuru, you’re a great skater, great jumper, great competititor. Sorry, but it’s difficult for me to take you and your programs seriously when I see all this ruffles. For me it’s a fashion crime. Oh, and this flгuttering something on his shoulder….this water plant is so distracting! The only thing I like about this costume is combination of green and blue. I like the simplicity of Adam’s costumes. Black and white combination is a timeless classic. 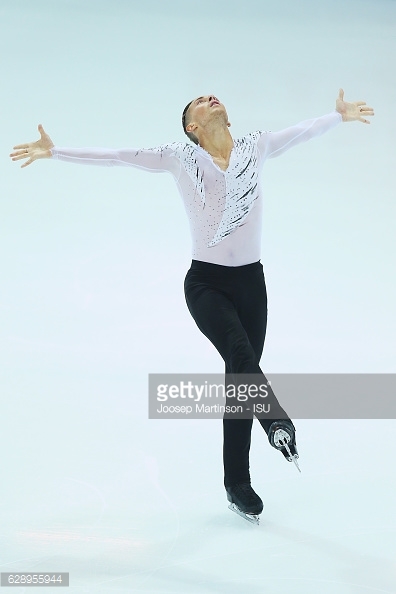 I also like that such simple and not bright costume don’t distract from his program and skating. Adam is in great shape, so he totally can wear such tight translucent long sleeve t-shirt. 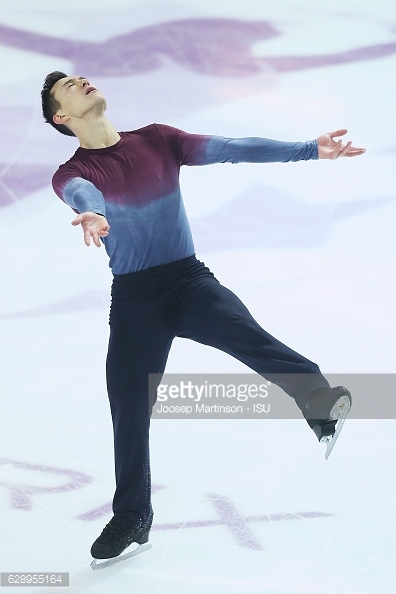 I like the idea of slight feathery applique and probably much finishing would be too much for the melancholic mood of the program……but I still have a feeling that his costume lacks something. 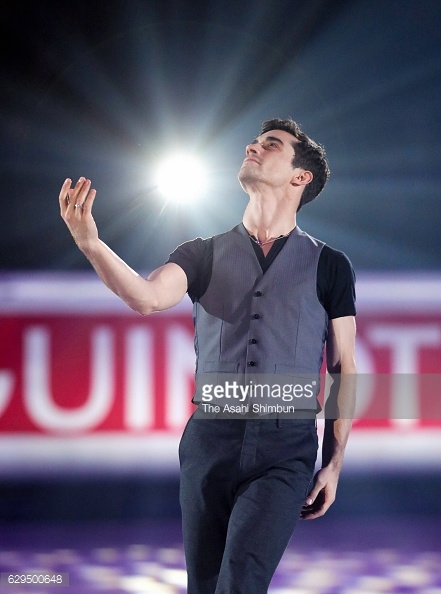 Thank you Javi for looking like a real man! No ruffles, no laces, no guipure and thank goodness no Elvis costume!) I think that ready to wear / such casual style suits Fernandez the most. He’s a handsome guy, so as a viewer I don’t want to be distracted by costume) And yes, I love black shirts, that’s why I don’t really like the pink section. But at the same time it gives some retro notes to his image. Another good news, this time trousers were well fitted, so keep the pattern for your future costumes. 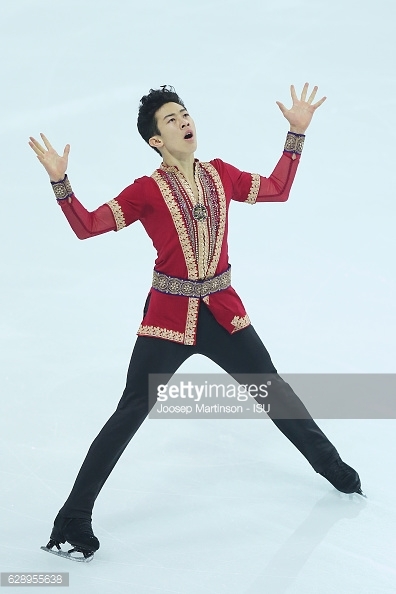 You may be surprised, that being a fan of simple and looking like a real clothes costumes, I chose Nathan Chen as my winner. Well, I always appreciate sophisticated thematical / historical costumes. Especially when they are well-sewn. Red and golden is quite a winning color combination) Nathan’s costume has so many small details and I really want to take a closer look at them. Great imitation of iron belt and bracelets. I like how they showed the multilayered character and richness of the costume. I think it’s a fabulous outfit, lots of work was done and it definitely helps to create a great impression from the program! Oh, I have to make a quick correction. The costume I was shuddering over was Nathan’s old SP one, not his FP one. The FP one is a little bold for me, but not half bad. Excuse me, I got confused. 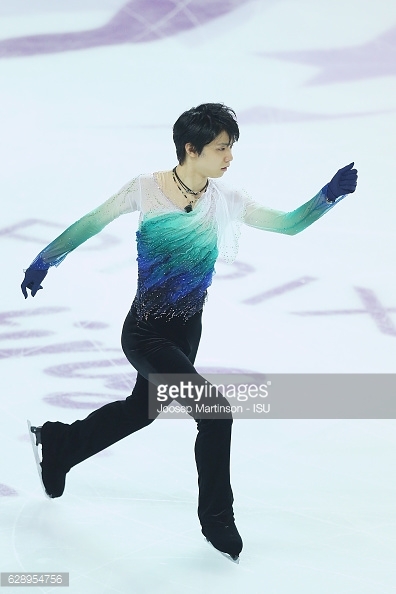 Ugh, I cannot stand Yuzuru’s costume! As you would say, I’d like to meet his designer someplace dark and see how fast he can run! Shoma’s isn’t so bad. But I’m waiting for the day that he gets some nice trousers that make his legs look a little longer. Adam’s costume is a little simple but really nice. Patrick’s sweater is not my taste, because the colors don’t flow. And it’s very thin; when he sweats it sticks right to his skin and you can see through it. 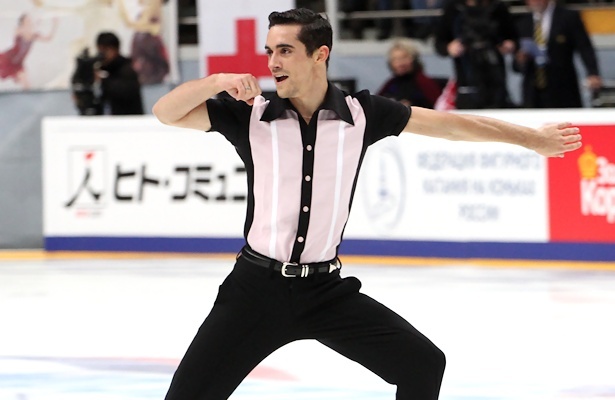 Javi looks handsome but I wish there was not so much pink. I’d like it better if it was black and white. Nathan’s costume is well-sewn, the details are tasteful, but for me it’s just a little overstated. I’m just thankful that there are no plushy pants and no tacky cheap finishings. I want a new costume for Patrick. 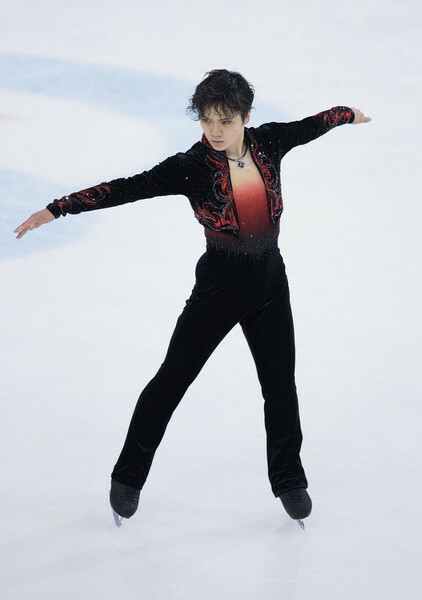 Vinous or dark purple…..
Shoma is kind of a little guy (though since I am the same height as he, I can’t comment), so they should try to make him look older. His height already makes him look younger than he is, so they should put him in something very mature. The Japanese ladies usually look very pretty. Except I don’t always agree with Rika Hongo’s designer. I’m sure Patrick would look amazing in dark purple. I think dark and deep colors are best choices for Patrick. My wish, I’d dressed him in black trousers and black tight sweater, so nothing will distract me from his skating and body lines. Oh, an edgy option: black trousers and beige tight long sleeve …..yes like an illusion of naked torso in modern dances. All those ideas sound so beautiful! Yes, nothing that distracts from his skating skills.